We had a busy day planned with a lot to see, starting with the Tessellated Pavement that we had heard about from one of Niall’s friends. 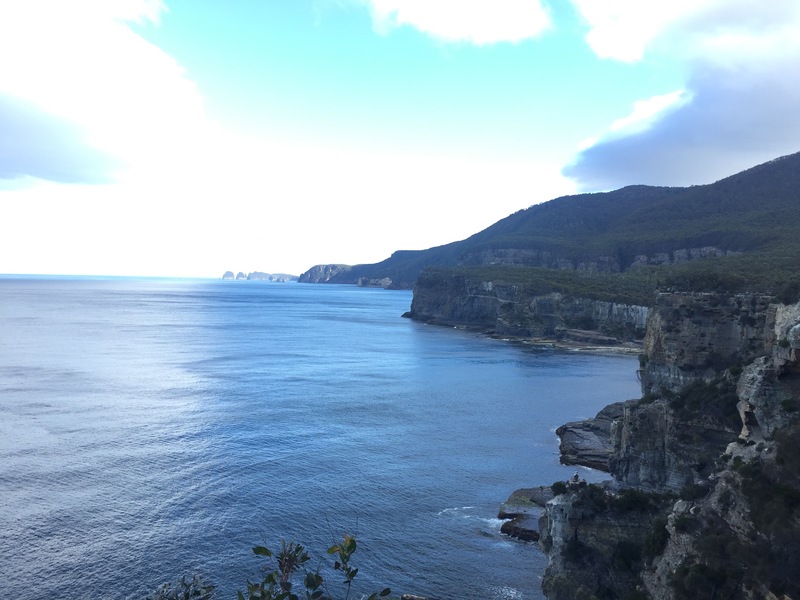 This is along the coast on the way to our main destination of the day, Port Arthur. The scene is as the name suggests and has a pattern in the rock which looks like a pavement. The tide was in when we went which I think makes a difference as we couldn’t see it as clearly as some pictures we have seen of the same area but it was good to see. 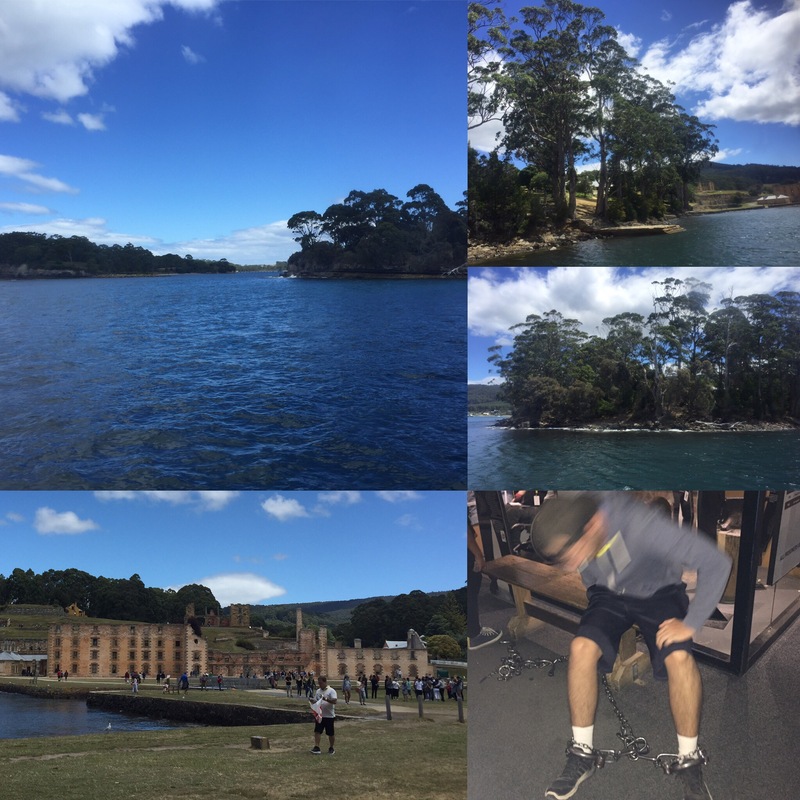 The main stop for the day was Port Arthur which is a historical prison and is a big part of Tasmania’s convict heritage. 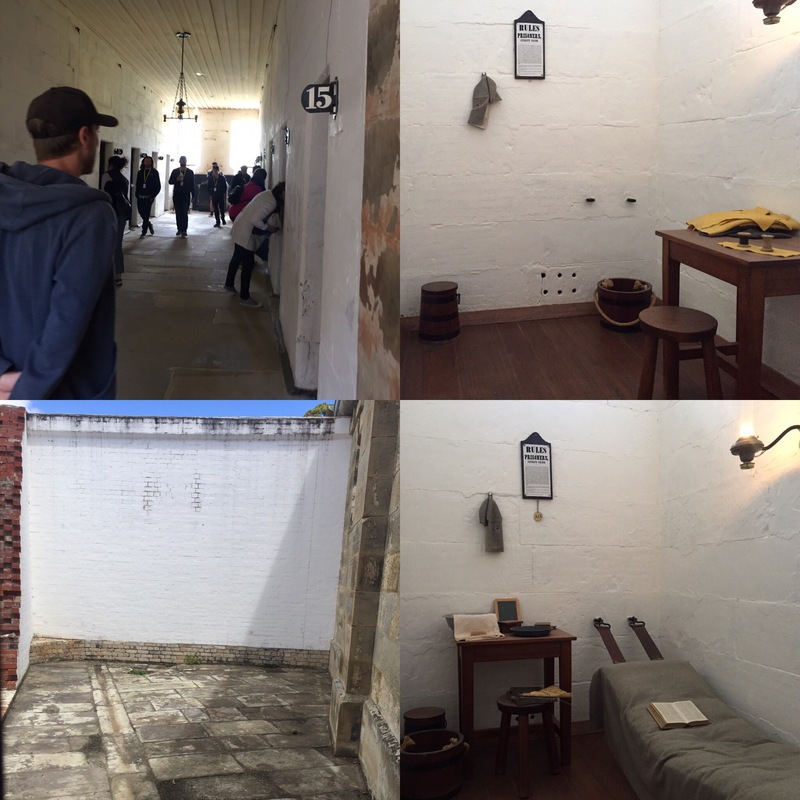 Port Arthur was a secondary punishment prison for men and boys. Prisoners could be sent here from anywhere in the British Empire including the UK on sentences from 7 years up to life. Even if a prisoner was on a smaller sentence such as 7 years, there was no return trip paid for them so the majority of convicts who were sent to Australia/Tasmania would never be returning home. In the 1800’s, Port Arthur was a timber camp as it is surrounded by dense forest and this timber would be shipped to anywhere in the Empire that needed it (meaning that the Empire didn’t have to buy their timber from other countries saving them a lot of money!) There were 35,000 convicts at Port Arthur in 13 years which was 45% of the total number of convicts that were sent to Australia. 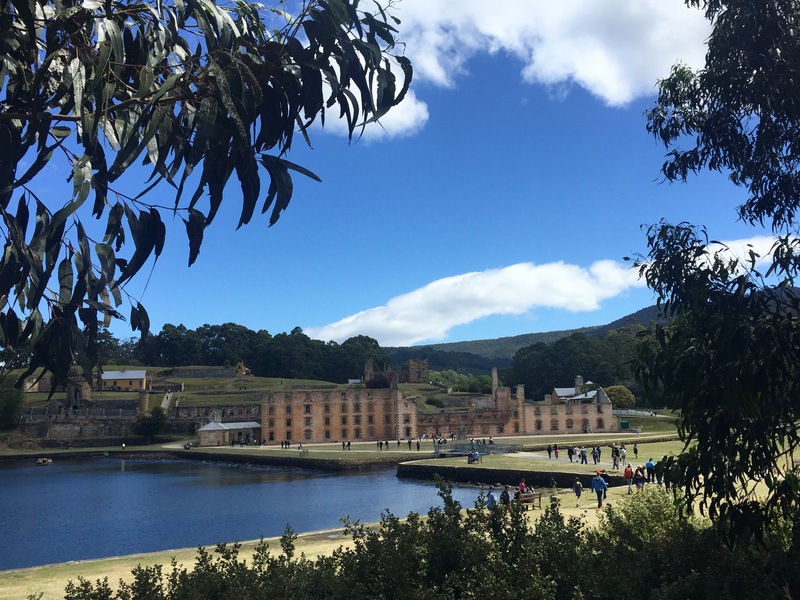 It wasn’t until the 1900’s that they bothered to build a road to Port Arthur as this decreased the security of the place and, as it is a port (a very deep port), transport by boat was always sufficient and meant it was harder for the prisoners to escape. As you may have guessed from the lack of roads, the prison was very isolated and the only way onto the mainland was through a bottleneck caused by two peninsula’s which could be easily manned by soldiers and dogs (as you’ll see from the pictures they never bothered with walls and fences). This was a hard labour camp and corporal punishment such as receiving 100 lashes were used as punishment. For the worst offenders, they created a separate prison where they would be on their own for 23 hours of the day without any communication – the guards even spoke in sign language so as to leave the prisoners in complete silence. This form of punishment was focussing on a prisoners conscience as they spotted that there were some prisoners who could survive the physical punishment and received prestige from fellow convicts for doing so which didn’t deter or punish the behaviour. 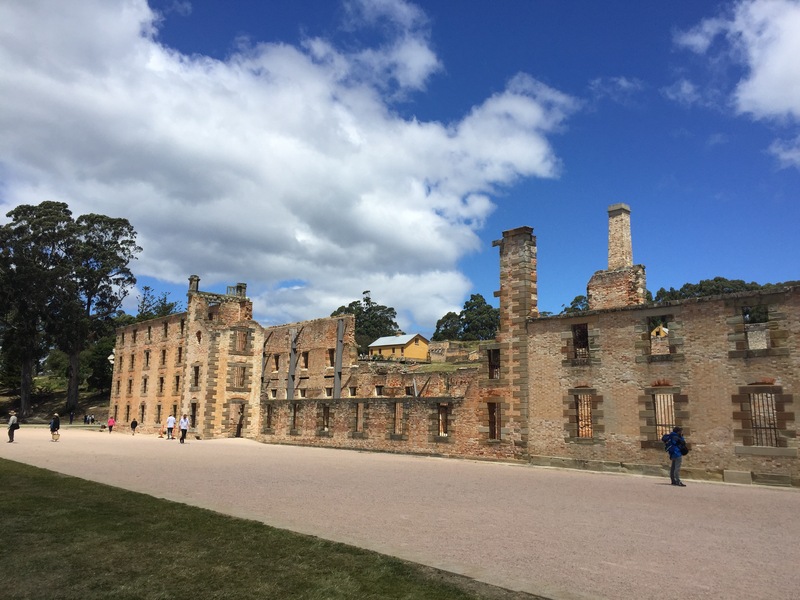 Due to the level of isolation, they ended up having to build an asylum at Port Arthur to house those that had breakdowns – shows how bad that can be for the brain! 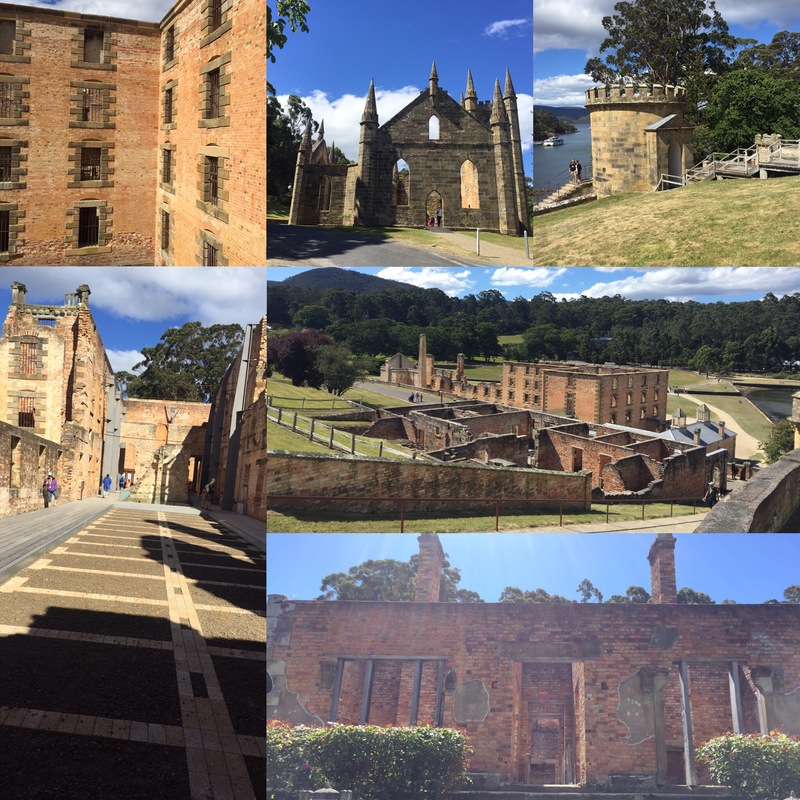 The price for Port Arthur was $39 (around £25) which included a introductory tour which was very interesting and a short ferry ride which told us that Port Arthur used to be a dockyard with the convicts making ships for the prison to sell. Due to the ample supply of timber from the surrounding forests and the free labour they were able to get from the convicts, they could undercut the prices of the other ship makers in the area. The other suppliers lobbied to have the Port Arthur dockyard closed and our tour guide joked that it was the only government scheme to have ever made so much money and that that led to its undoing. We also got to see the islands around the Port, one of which was used as the juvenile facility. This was the first boy’s prison in the British Empire and had children between the ages of 9 to 17. They created the facility because boys were classed as ‘officially useless’ (it took the same amount of food to feed them but they did less hours of work compared to the adult males so it wasn’t cost effective to have them working). For this reason they sat in the prison all day being taught how to become better criminals by the adults. So, to try and make them into better citizens, they created the juvenile facility to teach them skills like carpentry and shoe making. This was hugely successful, so much so that the UK started creating their own juvenile facilities and not having to send them to Australia. We had a really good day at Port Arthur. It would have been cool to see the full prison but two bush fires have destroyed a lot of it so only some of the original prison remains. I never realised how much the prisons of Australia have shaped the prisons of today. On our way home we took a detour to Pirates Bay. 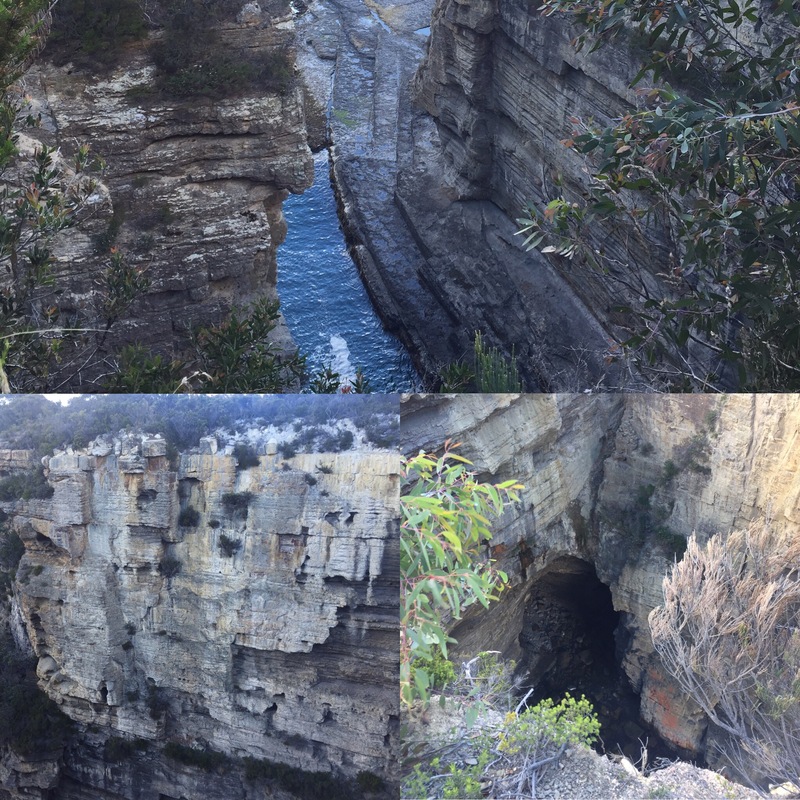 The first stop signposted was a blowhole but it wasn’t really doing much when we got there and considering we have seen such a good one before, it was underwhelming. 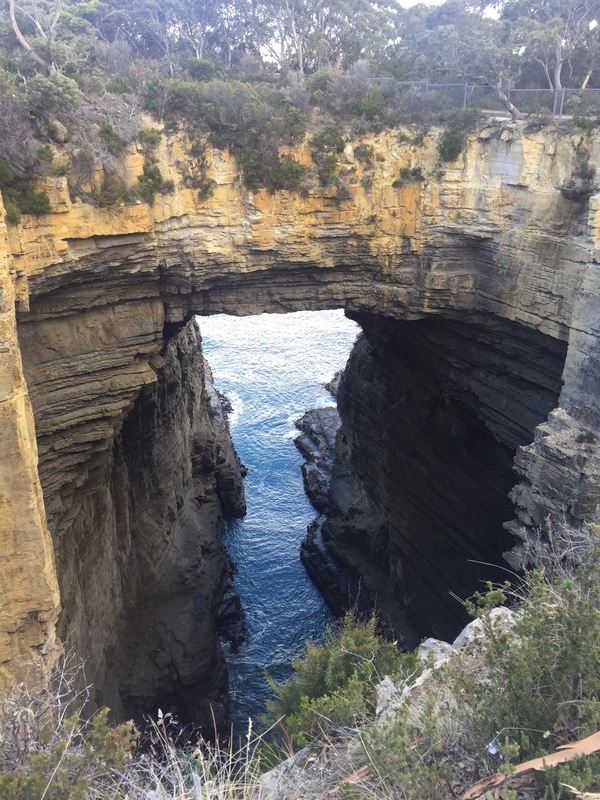 The next stop was Tasmans Arch which was a spectacular stone archway formed from the ocean. 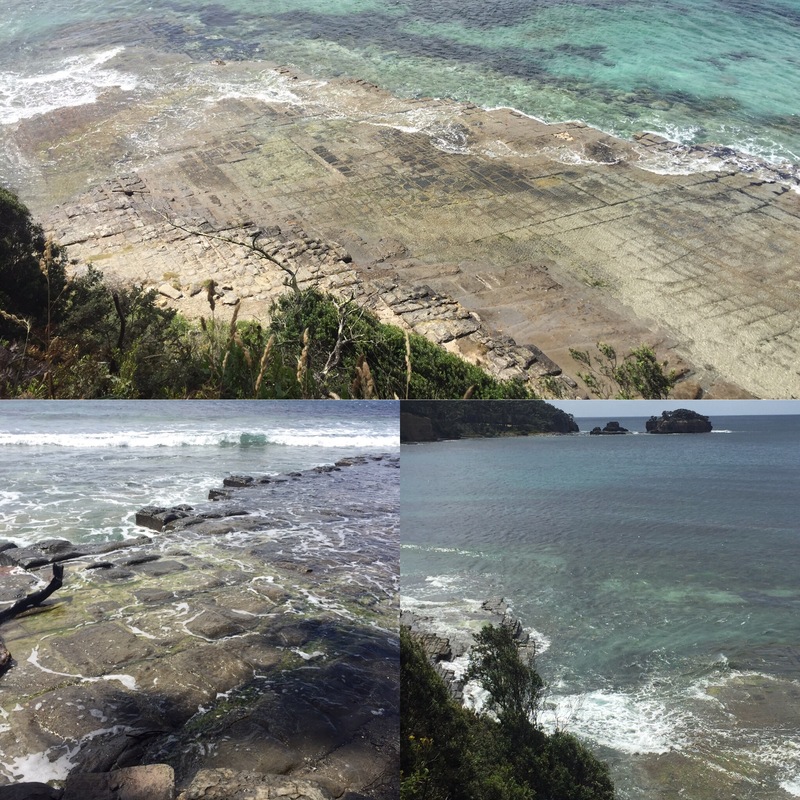 We then walked to a lookout next to the arch which showed a stunning view of the coastline – the photo doesn’t do it justice. 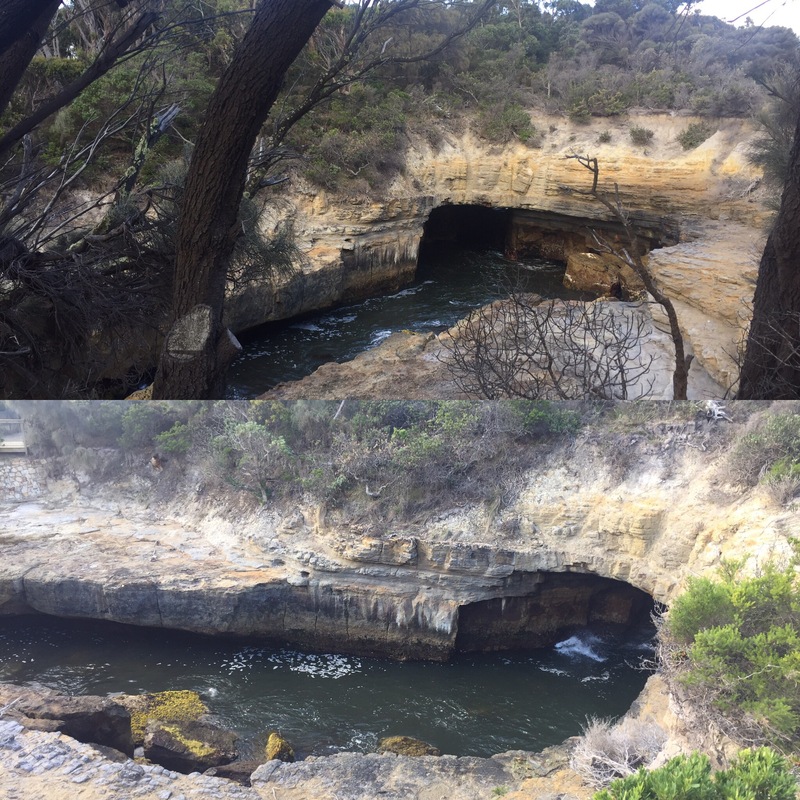 Our final stop for the day was the Devil’s Kitchen which was at the same point as Tasmans Arch. This had a jagged design on the rocks causing a valley. Apparently it used to be like Tasmans Arch before the roof collapsed. 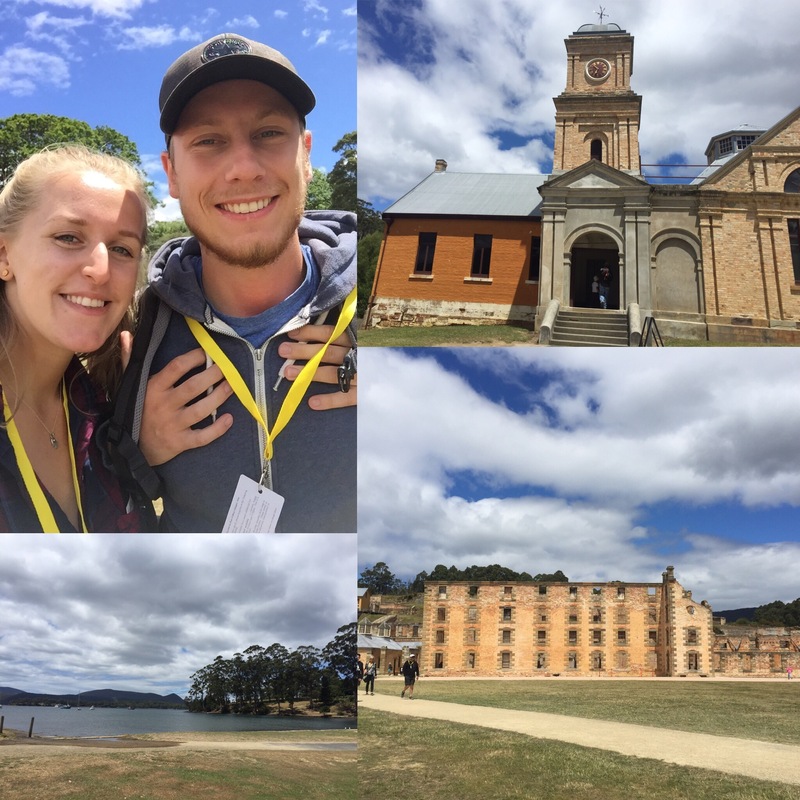 Port Arthur is definitely worth a visit and we are glad we took the detour, if you we’re to ever visit and had the time you should too!